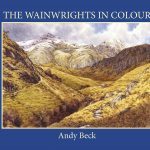 Summary: It is easy to why Wainwright included Hallin Fell from the start of his idea for the Pictorial Guides. The fell was not only marked as a measured height of 1271′ on his 1 inch maps but its location half way down the east side of Ullswater provides excellent views for little effort. 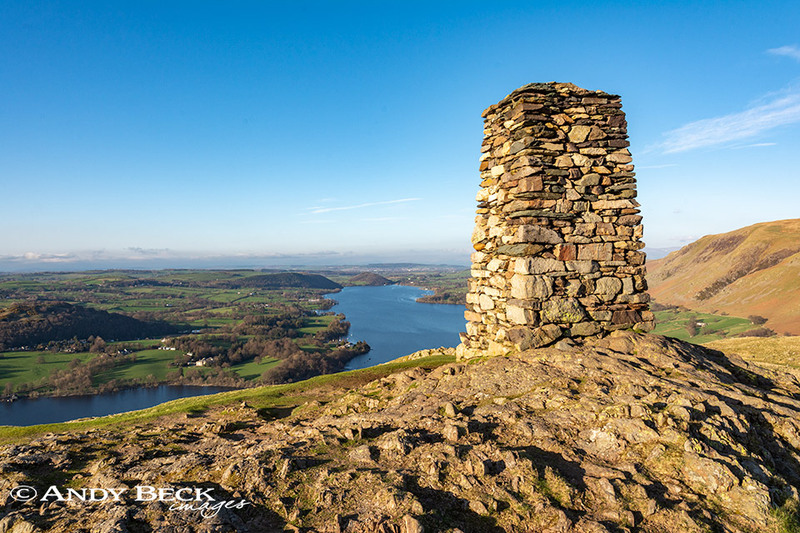 Hallin Fell is family friendly hill with relatively easy ascents which can be made over short grassy paths, most walkers treat it as a “there and back walk” from the top of the hause at St Peter’s church, a route of half a mile and only 460′ of ascent. At the summit stands a fine obelisk which in the spring of 2014 was expertly rebuilt by the Dalemain Estate to its full original height of about 14′. The lower west slopes of the fell are covered by Hallinhag wood through which passes the Ullswater Way. 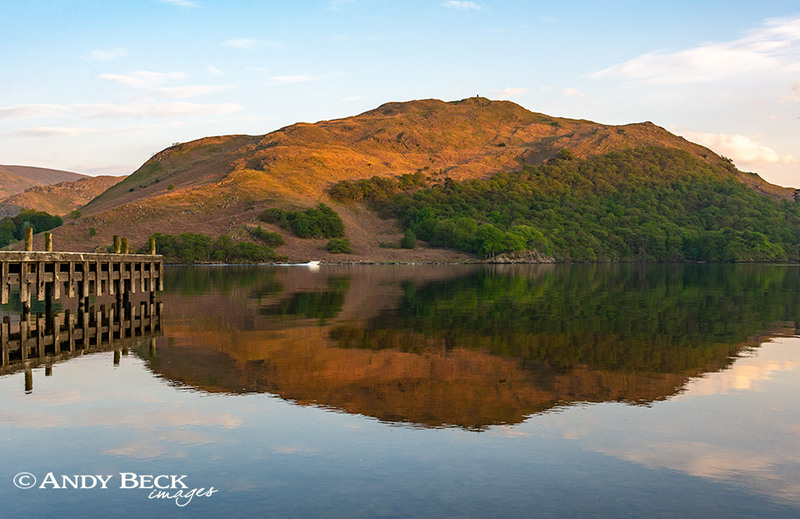 This is a popular fell which in my opinion is best visited on a late evening as the sun is going down behind the Helvellyn range. As short distance to the north of the main summit is a small cairn from where there is an excellent aspect of the lower reaches of Ullswater. 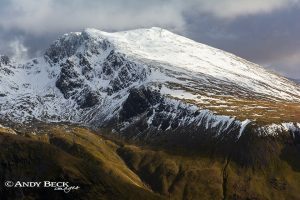 Topographical details: The height of the fell is calculated as 1273′ 388m at GR: NY43303 19819, right beside the obelisk which is the Wainwright summit. Points of interest: Apart from the impressive beacon and the views there is little else of merit to the fell itself. Worthy of a visit is the church of St Peter’s at the hause, a peaceful location amongst the trees. Much of the stained glass in the windows dates back to only 1975. Nearest facilities: Car parking at the hause near the church, space for a good number of cars (free). Howtown Hotel has a tearoom as well as accommodation. Pooley bridge to the north has pubs, campsites, small shops etc. Star rating: (1.6 / 5) This rating is due to the fact that Hallin Fell is a great hill for a family outing but it lacks in points of interest. Back to Lakeland 365 map.